Location: 559 East Russell St., Orangeburg, S.C. 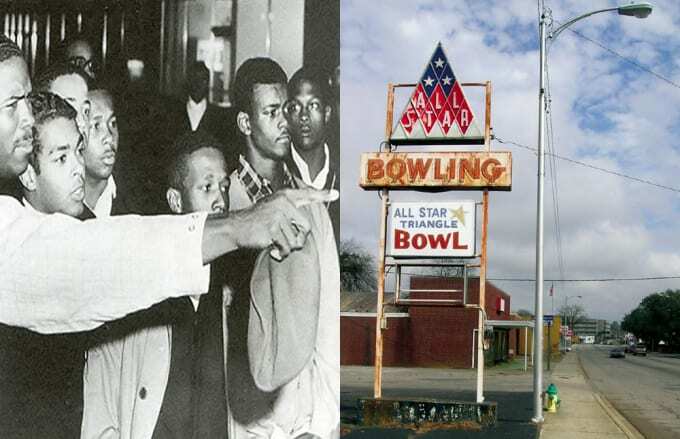 The incident at All-Star Bowling Lane was the catalyst for the Orangeburg Massacre. After Harry K. Floyd refused to allow people of color entry to the bowling alley, students from South Carolina State University and Clafin College converged on the establishment, refusing to leave. Following the protest, Floyd continued to run the bowling alley, now known as All-Star Triangle Bowl, until his death in 2002. His son, Harry Floyd, Jr., assumed the role of manager until the alley closed in 2007, the result of financial issues. Still, it retains its spot on the National Register of Historic Places.